A bit over a month ago I published a blog post called Complicating the narratives with PNI in preparation for this month’s PNI call on dialogue and conflict resolution. It is about the role PNI can play in constructive journalism. The PNI process itself is however also full of conflicts. So this blog will be about the dialogues and conflicts encountered during the PNI stages: Planning, Collection, Catalysis, Sensemaking, Intervention and Return. Although there are configurable PNI based solutions these days, still in around half of our projects we develop a PNI application from scratch. 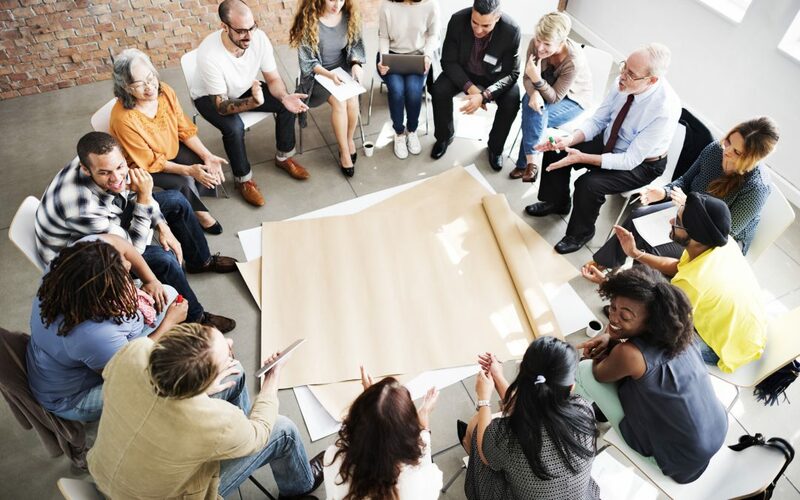 Of course that goes in good harmony with the customer’s project team, but often there is a lot of dialogue going on to determine what the project will be about, and conflicting demands or wishes must be met. Some of these are internal such as time constraints or the use of communication channels. It is good practice to talk early on about the other stages of PNI. A common conflict is that between budget and collection approach. Often we prefer to have multiple story sharing sessions, do a bit of observational work and test the story point (story collection point) with several test audiences before sending it out widely. Another challenge is to balance the effort spent on sensemaking relative to the effort that goes into design, collection and catalysis. Often we don’t get what we prefer, as it is so hard these days to get people together for a few hours. A well designed story session and also a story point reflect a natural dialogue as close as possible. Both have their challenges, but the digital variety is particularly difficult as there is no actual non-verbal communication going on. During the design process we have internal discussions (hesitating to call these dialogues :-)) as we must solve conflicts like the one between the number of questions to ask about a story, the total length of the story point, and the number of other questions such as demographics. When that is settled, ideally the real conflict in collection is with the storyteller. The essential quality of a story form is its ability to make the respondent think about which story to share and what answers to give or choose from the options provided. Setting the boundaries right to allow maximal quality of emergence to occur – both individually and collectively – is not an easy task. This design conflict is best solved by extensive testing. In catalysis there are several conflicts to resolve. The first one is the assessment of the quality of the results. Sometimes stories are short or seem incoherent. For other stories the metadata (the answers to the questions) seem odd. There a conflict arises between excluding a story and allowing the voice to be included. Another conflict is that between the available time and the depth of evaluation. Scoping is almost notorious for conflict. Not so much while scoping but the shadow scoping decisions cast forward to the quality of sensemaking at times cause headaches. In fact there are conflicts in any catalysis step. There is a thin line throughout the whole process between the quality of delivery and introducing bias or personal interpretation. One promising way to solve these issues is to perform a catalysis study with the customer’s project group. At least partly. If all goes well, the main conflict in the early stages of sensemaking – contact and churning – is in the head of the participants of the session. Especially when browsing through the catalysis report, a small storm should emerge in their brains. They should be exposed to novel perspectives, new connections, trends previously unseen, and of course stories and quotes that immediately start an internal dialogue about how all this information must find its place in the personal life or organisation or community or product or …. That internal conflict should ideally be channelled to a group dialogue during the convergence and eventually change stages of the sensemaking sessions. Often conflicting insights must be reconciled between the past and the future, between the organisation and its environment, between speed and accuracy, etc. The type of conflict in intervention is again of a totally different nature. It is basically between the storyteller(s) or decision maker(s) and the “audience”. Somehow, by someone, the changes agreed upon during sensemaking must be implemented. Must, by the way, is a weak word here. We have witnessed many agreed-upon measures, investigations, changes, experiments, expeditions, and stories to be told that were actually not carried out. There seems to be a lot of conflict between agreement on doing something and actually doing it. And when the interventions are carried through, often some form of conflict arises. People don’t agree, don’t cooperate, sabotage, ignore, engage in endless dialogues, etc. Another effect can be overshoot. Experiments that succeed quickly turn into rules. Too quickly. Investigations are pursued too far and wander into territories not intended. In short, intervention can seem straightforward, but it isn’t. Finally, the conflict in return depends heavily on the way it is done and on the type of application. For example, in product or marketing research, storytellers consider a better product sufficient rewards. They don’t expect anything else. In organisational applications, however, people often almost demand to know every detail on the stories and what happened during the sensemaking session(s). So that is where the conflict is in return: the choices that must be made on how to inform others. In Planning, the facilitator and customer determine the PNI process together. So planning sits in the middle between them. When the Collection phase is entered, the main conflict and dialogue should be within the storysharer or storysharers. In their own minds, that is, not so much between them (as Cynthia described in her sharing stories with strange people blog post). During the Catalysis phase, usually all conflict and internal dialogue sits within the PNI facilitator. It is a lonely job in the back office. Some – including myself – enjoy it. This radically changes during Sensemaking. That activity is placed as small dot in between all four influencing parties. The dot could equally well cover the entire landscape (and should when contact, churning, convergence, and change are done well), but since that would make this landscape hard to read, it is depicted as a small dot in the centre. During Intervention, the locus of dialogue and conflict should move to between the customer and the context of the project. Individual stories/people and the facilitator are still part of the process, but shouldn’t be central at that time. When the Return stage is entered, the customer’s perspective also diminishes and context becomes central. People go “back” to their “normal” situation, and the (organisational) ecology continues to (co)evolve. Then the PNI cycle starts all over again. We have learned that when one can get the customer organisation into a PNI rhythm – say a cycle every month or quarter – PNI can become part of the operational and organisational process of the customer and/or their ecological context. Then PNI – not surprisingly – does best as, after all, organisations, their stories, their products, services, and projects, form an ecology which has a natural heartbeat. When PNI can be aligned with that heartbeat, most value is added. With this we have covered our round on conflict and dialogue in the PNI stages. Of course there is no way to be exhaustive in a blog post, but I hope to spark some responses so that other perspectives are added to the discussion. 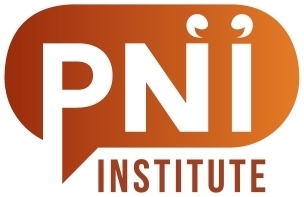 Note: PNI Institute calls take place the second Wednesday of each month, at 14:00 in New York, 20:00 in Europe. Please go to https://zoom.us/j/9067497326 to join the Zoom meeting.